Last I checked, this anime seemed to be unavailable, but the manga could be found at Amazon. The above info came from Kiui Sakura Niwa, and was edited by yours truly (contact me). The image came from photobucket. Allen Walker was abandoned when he was a baby because of a strange deformity on his left arm. A man named Mana adopted him and raised him as his own child, until one day he was killed. When Allen was crying at his father's grave, the Millennium Earl comes up and asks if he would like his father back. Allen agrees, and turns Mana into an Akuma (a machine created to destroy humans). Just as this happened, Mana asks Allen angrily "Why did you turn me into an Akuma!" 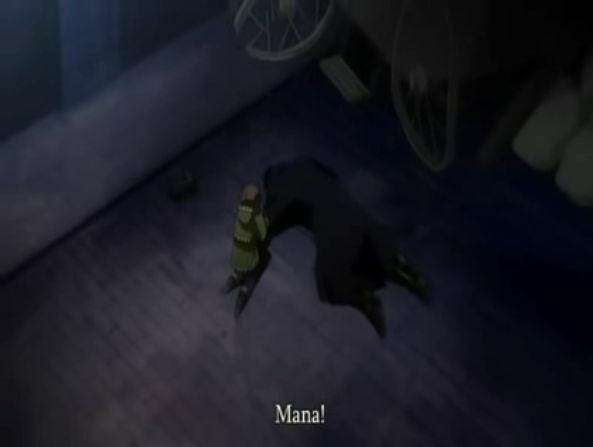 The Millennium Earl orders Mana to kill Allen and live in his skin. Mana curses Allen's left eye, and Allen destroys Mana with his left arm. 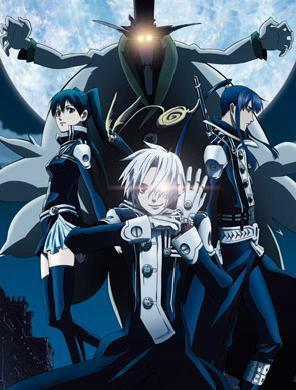 General Cross, an Exorcist from an organization from the Black Order, takes Allen to train as an exorcist. Three years later Allen completes his training with Cross and is told to become an exorcist with the Black Order, but afterwards... Allen finds himself passed out on the floor and Cross gone. When he arrives at the Black order, he meets the supervisor, Komui Lee, who is a scientist for the order. 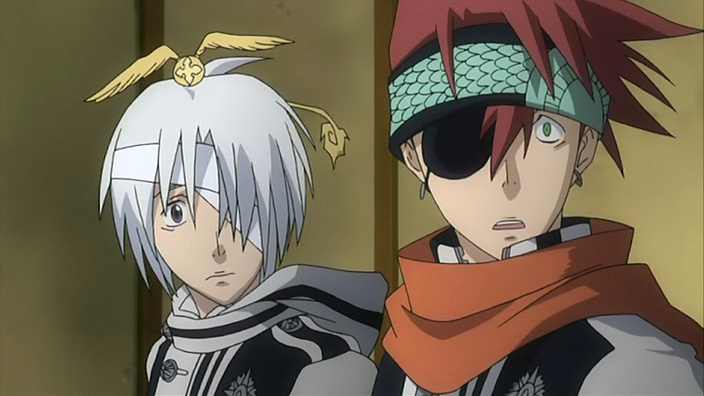 Later, as time goes by, he meets more exorcists, like Komui's sister, Lenalee Lee, Lavi, and Kanda. I have had one person tell me that Mana died from and illness, and another person state that Mana died from getting hit by a carriage. In episode 7, we see Mana lying on the ground near a destroyed carriage, so I think it's safe to assume that he was hit by the carriage. Plus, in the manga, we learn that Mana Walker was murdered by the Millennium Earl. The above description came from Kiui Sakura Niwa, and was edited by yours truly (contact me).